WENATCHEE, WA – The Chelan County Sheriff’s Office, in cooperation with the Washington State Parks and Recreation Commission and the Lake Wenatchee Recreation Club, is offering a free Snowmobile Safety Certification Class to young snowmobilers in December. The free class is designed for youth ages 12 to 16 but is open to new riders of all ages. The class is scheduled for Saturday, December 8th from 8 a.m. to 4 p.m. at the Lake Wenatchee Recreation Club, 14400 Chiwawa Loop Rd, Leavenworth, WA. 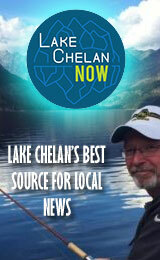 Lunch will be provided for the participants by the Lake Wenatchee Rec. Club. Survival skills and dealing with emergencies, including avalanche awareness. The proper clothing and equipment for winter weather. Hand signals while riding and other basic skills.